An American “hero” and an integer director of the CIA becomes dangerous for US politicians and some kind of political inner circle. This political and social affair mirrors the bigoted US attitude towards love, security and politics. Up to the exposure of this love affair Petraeus`image was stable, clean and integer. Her image also. People, society and politicians trusted him. From one moment to the other all this broke down. The image broke down. And people now believe that one could no longer trust this ( the same) man. In other, former cases like this, politicians decided in another way. Not this kind of publicity and no big media hype. Not this kind of hysterical prosecuting. Not this prompt demand towards Petraeus to quit his job at once. What is the matter now, today, in this case? Why do offcials ……………..behave like this? Without knowing the answers, one can be sure that a love relationship has to function as THE argument in order to make him quit. 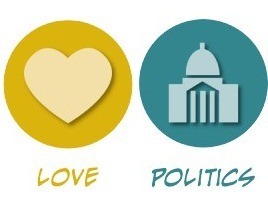 The love relationship is instrumentalized for political hidden or personal interest and motivation. This happens everywhere, not only in the US. The thing which astonishes me most is that society, that people believe it at once. They take it as a kind of truth which is understandable. Which ensures a correct behaviour by the officials. And I ask myself why and how much THIS society, THIS political system is so much afraid of such a personal love relationship? “Gen. David Petraeus built an impeccable 38-year career in the military and U.S. intelligence, displaying a keen grasp of strategy and tactics that succeeded even on the murky battlefield of Iraq and carving out a sterling reputation that withstood the spiteful, partisan environment of Washington. It came to an ignominious end on Friday, when the 60-year-old resigned as director of the CIA after admitting to an extramarital affair.